Investing Methodology: Focus on "Absolute Returns"
We seek only "Absolute Returns," (that is, our goal is to find the highest returns possible) with no artificial constraints as to balancing market segments or asset classes, and no requirement to be fully exposed to market risk at all times. In bullish (rising) markets, we utilize Robert W. Colby's exclusive "Relative Strength" investing method; our goal is to significantly outperform the S&P 500 in rising markets. This method involves identifying and buying stocks or Exchange Traded Funds (ETFs) that exhibit the greatest price strength, and holding these until we identify stronger investments, or until the market turns "bearish" (downward). This unique investing method was featured in the June 4, 2007 issue of Forbes Magazine. (Read Article.) An oveview of the Relative Strength research study is available by clicking here. 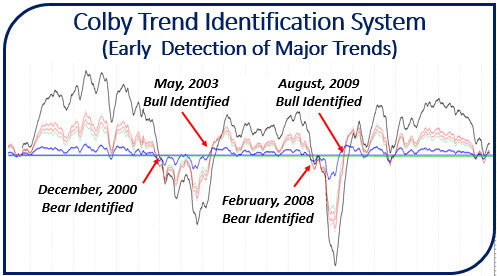 We use Robert W. Colby's exclusive Systematic Trend Identification method to identify shifts in the momentum of the market. When the market turns bearish (falling), our goal is to, once again, significantly outperform the S&P 500. Once a downward (bearish) trend is identified, this method involves converting some or all investments to cash or fixed income instruments until the market once again turns "bullish" (rises). 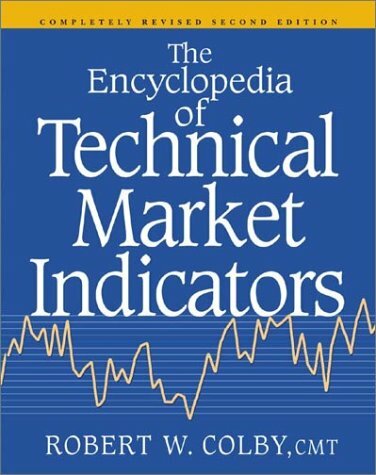 Mr. Colby's Systematic Trend Identification method is described in his 820-page research book, The Encyclopedia of Technical Market Indicators, Second Edition, McGraw-Hill Publishing, 2003.